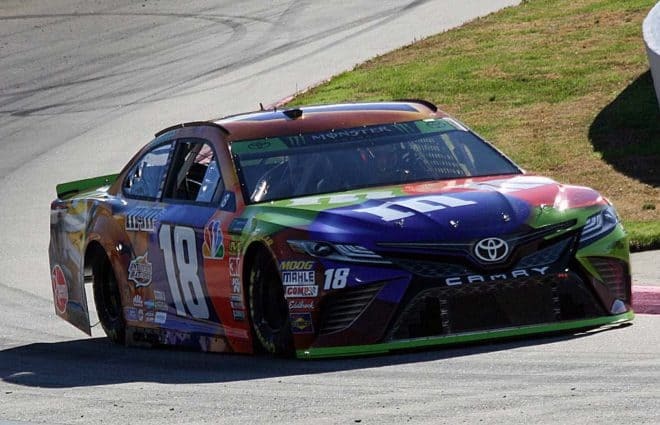 Whenever Kyle Busch wins a pole, it could call danger for the rest of the field, and that’s exactly what he did for Sunday’s (Oct. 28) First Data 500 at Martinsville Speedway. Busch turned a speed of 96.254 mph, edging out Clint Bowyer (96.122 mph) for the pole. It’s Busch’s second pole at the paperclip, the first coming in 2014. 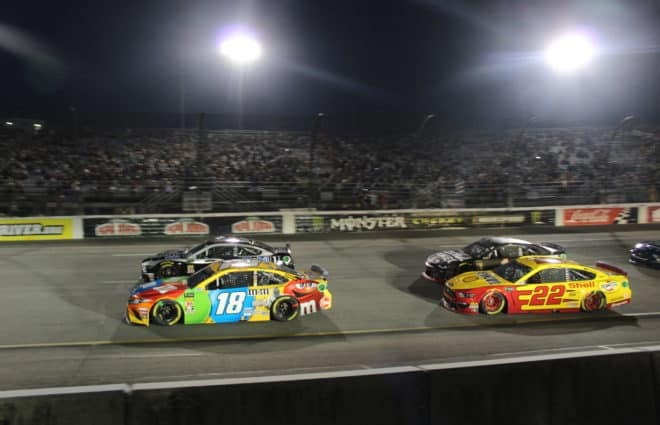 Five-time Martinsville winner Denny Hamlin was the quickest non-playoff driver in third (96.112 mph), while Ryan Blaney (96.093 mph) and Aric Almirola (96.058 mph) rounded out the top five. The fifth-place effort for Almirola was his best qualifying session at Martinsville since 2008, where he started third for Dale Earnhardt Inc. 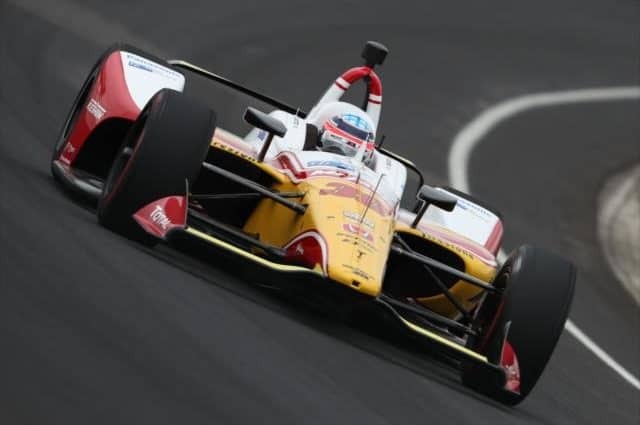 He believes track position is more crucial at the famed track than any other track on the circuit. 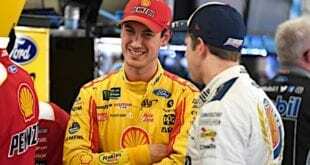 Martin Truex Jr., Kurt Busch, Brad Keselowski, Daniel Suarez and Kyle Larson rounded out the top 10. 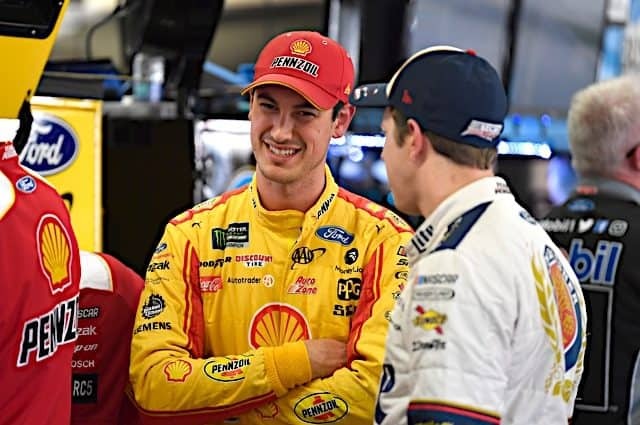 Joey Logano and William Byron were the only other drivers to make the final round of qualifying. Two playoff drivers failed to make the final round of qualifying; Kevin Harvick (13th) and Chase Elliott (21st). 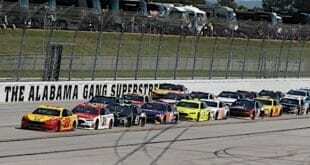 The only incident of the session was halfway through the opening round when Bubba Wallace backed the No. 43 Chevrolet into the Turn 3 wall. The damage was severe enough to go to a backup car. Sunday’s First Data 500 is scheduled to get underway shortly after 2:30 p.m. ET. 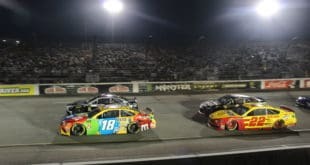 Kyle Busch is the defending race winner, though Bowyer dominated the spring race, ending a 190-race winless treak. 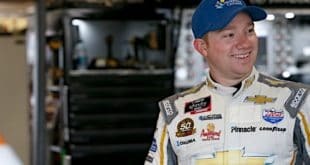 Jeb Burton????? Three cautions at least. 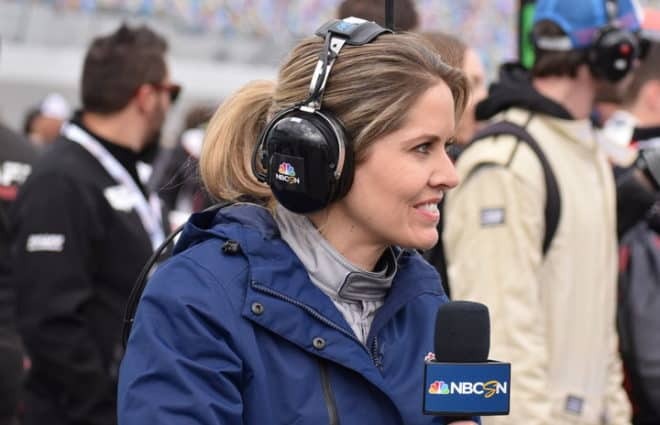 It could be a repeat of the year Jack Roush decided Martinsville would be a good place to put a young David Ragan in a 6th Roush car and Ragan proceeded to spin out five or six times, leading Tony Stewart to call him a dart without feathers.